On 1 July 2011, the ATO released its compliance program for the 2011/12 income year. An overview of the areas that are likely to affect your business is set out below for your information. Notably, these are the ATO’s areas of focus only. Falling into one of these areas does not mean you have done anything wrong, or will be required to pay additional taxes. Where your business has received payments from the government through the income year (for example, insulation installers who have received payments from the Department of Climate Change and Energy Efficiency), these payments may have resulted in tax consequences. The ATO is using data-matching techniques to ensure that such taxpayers have correctly treated such payments. Make sure you tell your tax adviser about these payments in the context of the preparation of the income tax return for the entity that received the payment. The ATO is again watching taxpayers that participate in the cash economy to make sure they are reporting all of their income. There is nothing at all wrong with operating in an environment of predominantly cash sales. In fact, in some industries this may be the main way in which payment for goods or services occurs. However, you should keep appropriate records of such transactions and report all of your income on your tax return. In this regard, the ATO is targeting both businesses suspected of under-reporting income, as well as businesses that maintain inadequate records. The ATO has noticed that businesses trading over the internet are more likely to under-report their income. As with trading in the cash economy, there is nothing at all wrong with selling on the internet, but takings from any sales you make must be reported as income if you are carrying on a business. If you sell over the internet and are not sure if it is merely a hobby or what constitutes a business, your tax adviser can help you sort through the issues and make a determination. Remember – Australian tax residents are taxed on their worldwide income, ie income derived from all sources. Where tax has been paid in a foreign jurisdiction, you will likely get a rebate or offset so that you may not only be required to pay top-up tax in relation to your overseas income, but you still need to report it! It is essential that all taxpayers – businesses and individuals – double check information that is pre-filled into their tax return. 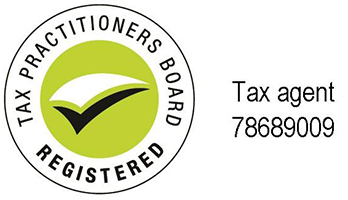 Australians are increasingly reliant on pre-filled information to complete their income tax returns, but the ATO is reminding taxpayers that this information may not be absolutely correct in all instances and should be checked against primary sources prior to lodgment. The ATO has noted that compliance with Div 7A continues to be a concern in the small to medium enterprise market. Broadly, the ATO is looking at circumstances in which loans or payments have been made by private companies to shareholders (or an associate of), or where shareholders (or an associate of) have either used or had available for use the assets of the private company at less than market value during the income year. Any such transactions may have resulted in deemed dividends which are required to be included in the shareholder’s income tax return. Top-up tax may also need to be paid. Remember that, in this circumstance, an unpaid present entitlement under a trust in favour of a private company may constitute a “loan”, and if the trust is an associate of a shareholder, this loan may result in a deemed dividend. If you are unsure of how to apply these rules, make sure you speak to your tax adviser. Getting it wrong could result in serious consequences. The ATO is focusing on checking that fringe benefits are correctly identified and reported by employers, that the relevant documentation and declarations are obtained from employees, and that the correct fringe benefits tax is paid in respect of these benefits. You’ve probably heard a bit in the last year or two about the small business benchmarks. These “benchmarks” are broadly parameters within which other businesses in the same industry are operating. The ATO uses these benchmarks to determine which businesses may be operating in the cash economy. If you fall outside the benchmarks, you may be asked to substantiate certain transactions. The ATO has the power to issue default assessments on the basis of the benchmarks where you are not able to substantiate the details on your income tax return. If you need assistance in formulating a system by which to record the transactions you engage in to make sure that you have sufficient records if questioned by the ATO, you should approach your tax adviser for assistance. The tax on everyone’s minds lately has been the carbon tax, details of which were announced by the government recently. It is important to remember that, for all the press coverage on this issue, the “carbon tax” will only need to be paid by a handful of taxpayers. While the tax (if it is implemented as announced as of 1 July 2012) may be borne by your business indirectly (in the form of higher prices for certain inputs), you will likely not have to undertake any significant compliance efforts in respect of this tax (unlike, for example, in relation to the GST). However, the handful of tax changes announced as part of the carbon tax package (including changes to the personal income tax thresholds, as well as compensation payments and tax benefits) may require more careful attention. You should speak to your tax adviser about what preparation your business may need to undertake before the carbon tax and related tax changes are implemented on 1 July 2012. The ATO has found that the majority of unpaid tax debts are still in the micro/small to medium enterprise taxpayer bracket. As such, the ATO is starting to wind back its lenient approach to debt collection and take a stricter approach as compared to the past year or two. The ATO will continue to take a balanced approach where a taxpayer is willing and able to pay tax debts, and has contacted the ATO to discuss the nature of any difficulties. However, the ATO will now also be taking a business’s viability into account (as assessed by the ATO’s business viability tool) when deciding whether to enter into a payment arrangement with the taxpayer. If you are having trouble paying your tax debts, you are strongly advised to contact either your tax adviser or the ATO directly as soon as possible in order to discuss the issues, and to work out a payment arrangement. The government has recently announced a spate of reforms in the not-for-profit (NFP) sector. These reforms are likely to affect anyone operating in this sector significantly once implemented. The government has recently released exposure draft legislation on restating the “in Australia” special conditions for tax concession entities. These rules are intended to ensure that parliament retains the ability to fully scrutinise those organisations seeking to pass money to overseas charities and other entities. Treasury has received submissions on its consultation paper to implement an announced measure to “better target not-for-profit concessions”. These proposed reforms are intended to tax the profits from unrelated commercial activities of NFPs where those profits are not directed back to the NFP’s charitable purpose. This change applies as of 1 July 2011 in relation to “new” activities undertaken by NFPs as from Budget night (10 May 2011). The government will introduce an “Australian Charities and Not-for-profits Commission” that will determine which entities are charities for the purposes of a spate of government concessions and exemptions. This Commission will be established by 1 July 2012. The government has announced that the definition of charity will be legislated with effect from 1 July 2013. This legislated definition will then apply to determine access to a spate of government concessions and exemptions. If you are an NFP, your work will likely be affected by these proposed reforms. You should speak to your tax adviser about the potential impact of these reforms on your entity, as well as to plan for the changes. NFPs should consider the impact of the proposed changes on their work in consultation with their tax adviser. The government recently enacted legislation to effect its announced measure to flatten the statutory rate (to 20%) to determine the taxable value of car fringe benefits. The legislation to effect this change is complex, and while transitional rules are available, their application is tricky, For example, in order to by-pass the transitional rules and apply the new rules directly, employers must ensure that no employee will be “worse off”. If you provide car fringe benefits in relation to which you intend to continue using the statutory method to determine the fringe benefits tax payable, you should consult your tax adviser so that he/she can assist in building these new rules into your FBT calculation system. The proposed changes to the statutory rate applicable when determining the taxable value of car fringe benefits when using the statutory method are now law. The transitional rules are difficult to apply. You should seek tax advice to help you navigate these difficult waters. of an announced Budget measure to allow taxpayers that have made excess super contributions to get a refund of the excess and therefore avoid excess contributions tax liability. The option will only be available from the 2011/12 income year for taxpayers that are first-time offenders and where the cap has been breached by $10,000 or less. Taxpayers who choose to have such excess contributions refunded to them will have the excess contributions included in their assessable income (subject to a refundable tax offset equal to 15% of the excess contributions). Notably, the employer is not involved in the new refund process and so will not be affected by this measure. From the 2011/12 year onwards, if you breach your excess concessional contributions cap for the first time by $10,000 or less, you will be entitled to request a refund of the excess contribution and have it taxed at your marginal tax rate instead. If you are an employer and your employee breaches the cap and applies for a refund, you will not be required to undertake any action. If you are having trouble determining whether you may be eligible to access the CGT small business concessions, the ATO’s CGT small business concessions tool (on www.ato.gov.au) may be worth a look. You can put in your own details and the tool will determine eligibility for the concessions as well as your estimated capital gain. You can then take this detail to your tax adviser if you are seriously contemplating the transaction and want specific advice.